Improve your writing to enhance your success in grants and publications. Establish and work effectively with authorship teams. Discuss approaches to getting helpful feedback on your ideas – from identifying the research question to framing your results. 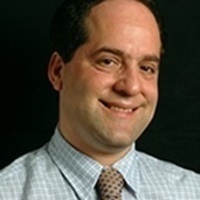 Ken Covinsky is a Professor of Medicine in the Division of Geriatrics. His research focuses on the determinants and outcomes of disability in older persons. He directs the UCSF Older Americans Independence Center (Pepper Center) which supports infrastructure development and career development to develop aging research at UCSF. He has a long standing interest in mentoring and career development in clinical and outcomes research and is the recipient of the 2018 Academic Senate Distinction in Mentoring Award (Professor rank).